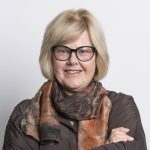 Professor Lois Salamonsen received her Bachelor of Science degree with first class honours in Biochemistry from Otago University (New Zealand) and her PhD in Reproductive Biology from Monash University, Australia. Her research focuses on human uterine/endometrial biology, specifically on mechanisms underlying endometrial remodelling, including menstruation, endometrial repair, endometrial receptivity for implantation and endometriosis. These findings aim to address a range of clinical problems, including infertility, abnormal uterine bleeding, endometriosis and development of new non-hormonal contraceptives for women. A strong current focus on biomarker discovery will provide markers to guide clinicians in diagnosis and decision making. Prof Salamonsen has published more than 260 peer-reviewed papers, review articles and book chapters in the fields of endometrial remodelling, implantation and endometriosis, and has >7000 citations. She has held positions as Associate Editor for the international journals Biology of Reproduction and Reproductive Sciences, and served on the Editorial Boards of Endocrinology, Reproductive Biology and Endocrinology and Repropedia, and been a member of the Faculty of 1000. She is a Fellow and Life Member of the Society for Reproductive Biology, was President of that Society in 2004-2006 and received their premier award, the Founder’s Lecture, in 2009. In 2012, the Royal Australian and New Zealand College of Obstetricians and Gynaecologists awarded Prof Salamonsen an honorary Fellowship, making her one of only three scientists ever to receive this honour. In 2014 she was elected Fellow of the Society for the Study of Reproduction (USA), and in May 2017 she was elected Fellow of the Australian Academy of Science (AAS). Frontiers in Reproduction USA, honoured her commitment to training and mentoring young scientists with the Beacon Award (2014), acknowledging her “efforts in advancing young scholars’ research careers in the field of reproductive sciences research, and establishing her as a nationally valued source of illumination and guidance – a Beacon – in the development of research careers in the reproductive sciences”. A number of her previous students now head their own substantial research groups. A strong funding mix has sustained work in the Salamonsen research group over the past 20 years, including funding from the NHMRC, National Institutes of Health (USA), World Health Organisation, Rockefeller Foundation, CONRAD/CICCR (USA), Schering AG, Merck-Serono Foundation (grants for Fertility Innovation) and Monash IVF, as well as a number of philanthropic organisations. Prof Salamonsen receives regular invitations to speak and to participate in specialist workshops, both nationally and internationally: in 2013-2014 alone, she gave 23 invited presentations. Prof Salamonsen’s current research involves studying the genes and proteins involved in endometrial remodelling during the menstrual cycle as well as during embryo implantation and early pregnancy, using a variety of established human ex vivo and in vitro models together with genomic (e.g. microarrays, antisense technologies) and proteomic technologies. She has formed strategic collaborations with specialist clinicians to translate basic research findings into clinically relevant research, including identifying new diagnostics and treatments for disorders of the uterus (such as endometriosis, abnormal uterine bleeding and endometrial infertility). The group is currently funded by peer-reviewed grants, including project grants from the NHMRC, the Merck-Serono Foundation’s grants for Fertility Innovation, Monash IVF and other philanthropic bodies. Antoniotti GS, Coughlan M, Salamonsen LA, Evans J (2018) Obesity associated advanced glycation end products within the uterine cavity detrimentally impact endometrial function and implantation competence. Human Reprod 33(4):654-665. Li Y, Salamonsen LA, Hyett J, da Silva Costa F, Nie G. (2017) Maternal HtrA3 optimizes placental development to influence offspring birth weight and subsequent white fat gain in adulthood. Sci Rep 7(1):4727. Heng S, Evans J, Salamonsen LA, Jobling TW, Nie G (2017) The significance of post-translational removal of alpha-DG-N in early stage endometrial cancer development. Oncotarget 8:81942-81952. Greening DW, Nguyen HPT, Elgass K, Simpson RJ, Salamonsen LA (2016) Human endometrial exosomes contain hormone-specific cargo modulating trophoblast adhesive capacity: insights into endometrial-embryo interactions. Biol Reprod 94:38. Greening DW, Nguyen HP, Evans J, Simpson RJ, Salamonsen LA (2016) Modulating the endometrial epithelial proteome and secretome in preparation for pregnancy: the role of ovarian steroid and pregnancy hormones. J Proteomics 144:99-112. Nguyen HPT, Simpson RJ, Salamonsen LA, Greening DW (2016) Extracellular vesicles in the intrauterine environment: challenges and potential functions. Biol Reprod 95:109. Salamonsen LA, Evans J, Nguyen HPT, Edgell TA (2016) The microenvironment of human implantation: determinant of reproductive success. Am J Reprod Immunol 75:218-225. Altmäe S, Esteban FJ, Stavreus-Evers A, Simon C, Giudice L, Lessey BA, Horcajadas JA, Macklon NS, D’Hooghe T, Campoy C, Fauser BC, Salamonsen LA, Salumets A (2014) Guidelines for the design, analysis and interpretation of ‘omics’ data: focus on human endometrium. Hum Reprod Update 20:12-28. Evans J, Hannan NJ, Edgell TA, Vollenhoven BJ, Lutjen PJ, Osianlis T, Salamonsen LA, Rombauts LJF (2014) Fresh versus frozen embryo transfer: backing clinical decisions with scientific and clinical evidence. Hum Reprod Update 20:808-821. Evans J, Salamonsen LA (2014) Decidualized human endometrial stromal cells are sensors of hormone withdrawal in the menstrual inflammatory cascade. Biol Reprod 90:14. Edgell TA, Rombauts LJF, Salamonsen LA (2013) Assessing receptivity in the endometrium: the need for a rapid, non-invasive test. Reprod Biomed Online 27:486-496. Evans J, Salamonsen LA (2013) Too much of a good thing? Experimental evidence suggests prolonged exposure to hCG is detrimental to endometrial receptivity. Hum Reprod 28:1610-1619. Ng YH, Rome S, Jalabert A, Forterre A, Singh H, Hincks CL, Salamonsen LA (2013) Endometrial exosomes/microvesicles in the uterine microenvironment: a new paradigm for embryo-endometrial cross talk at implantation. PLoS One 8:e58502. Salamonsen LA, Edgell T, Rombauts LJF, Stephens AN, Robertson DM, Rainczuk A, Nie G, Hannan NJ (2013) Proteomics of the human endometrium and uterine fluid: a pathway to biomarker discovery. Fertil Steril 99:1086-1092. Evans J, Hannan NJ, Hincks C, Rombauts LJF, Salamonsen LA (2012) Defective soil for a fertile seed? Altered endometrial development is detrimental to pregnancy success. PLoS One 7:e53098. Evans J, Salamonsen LA (2012) Inflammation, leukocytes and menstruation. Rev Endocr Metab Disord 13:277-288. Hannan NJ, Nie G, Rainzcuk A, Rombauts LJF, Salamonsen LA (2012) Uterine lavage or aspirate: which view of the intrauterine environment? Reprod Sci 19:1125-1132. Stephens AN, Rombauts LJF, Salamonsen LA (2012) Diagnosis of endometriosis: proteomics. In Endometriosis: Science and Practice. Giudice LC et al., eds. Oxford: Wiley-Blackwell. pp 324-335. Warren-Smith SC, Nie G, Schartner EP, Salamonsen LA, Monro TM (2012) Enzyme activity assays within microstructured optical fibers enabled by automated alignment. Biomed Opt Express 3:3304-3313.